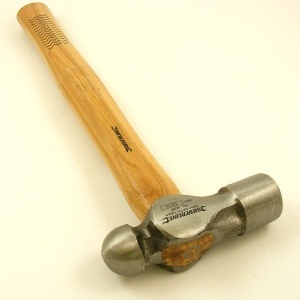 This is a very handy hammer to have around the house. 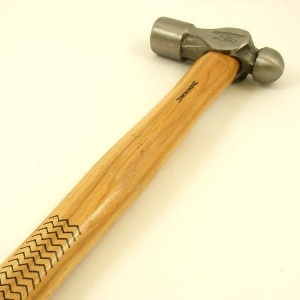 It's a 16oz weight with a double sided head and hardwood handle, so it's suitable for a wide range of jobs. The flat face can be used for fitting tubular rivets without the need for a fixing tool, and the ball pein side is ideal for peening copper rivets down over their washers.